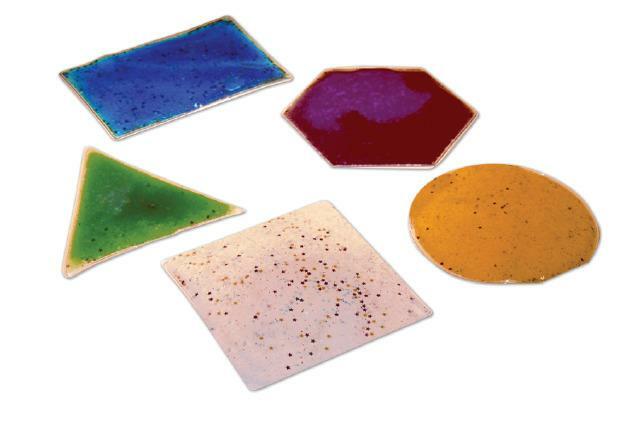 Each of these tiles contains brightly colored gels which squidge about satisfyingly under your fingers. Includes Circle, Triangle, Square, Rectangle and Hexagon. Dimensions: Largest Shape H: 5"